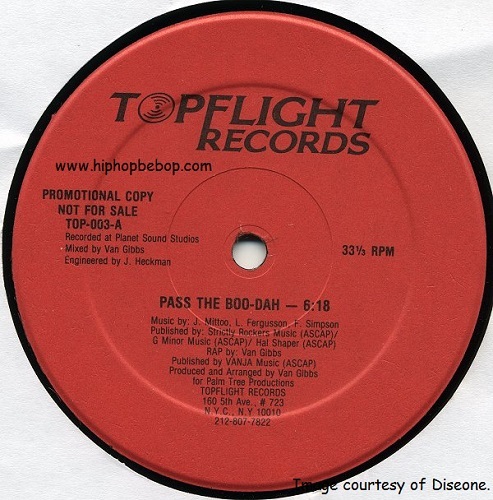 The Boo-Dah Bliss Crew were DJ Spivey, Doug E. Fresh and Spoonie Gee and this was their only release as a group. In fact this was the first appearance on wax by Doug E. Fresh. 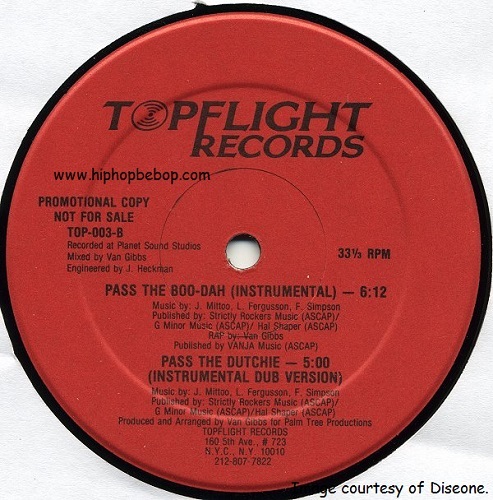 It is an electro, hip hop, reggae track based around Musical Youth’s “Pass The Dutchie” and was produced and arranged by Van Gibbs, father of Salaam Remi, who also provides a verse for the track. Music was courtesy of reggae legends Jackie Mittoo plus Fitzroy Simpson and Lloyd Fergusson of The Mighty Diamonds.